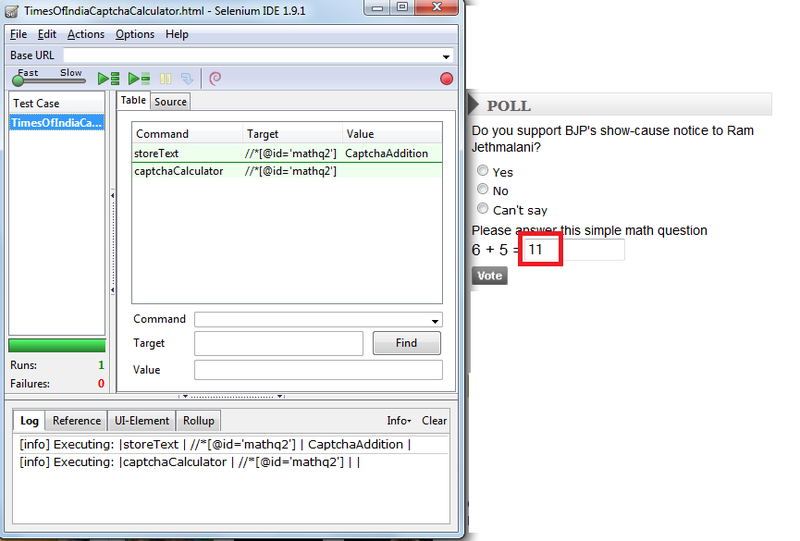 This is example of while loop user extension using selenium IDE. Make one file user-extension.js in C:/ drive. now come to Table tab of selenium tab and run this code. before start running slow speed of execution. keep watching Log tab of selenium IDE. Let’s now create this extension. Open your favorite text editor and open the user-extension.js file you created earlier. take xpath of Paste Name / Title: field. 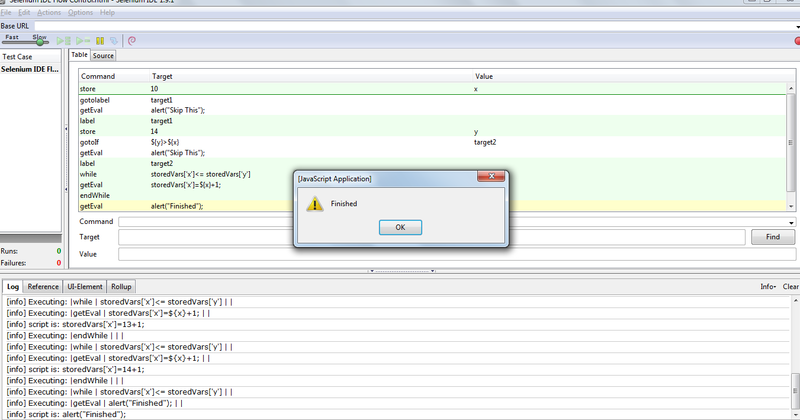 Now go to selenium IDE and Create a new step with storeRandom and Enter Xpath in Target. This is taken from Website for learning purpose. Make new user-extension.js file and put in C:/ drive [or any drive you like]. Write this code LINK in that and save it. Now start Selenium IDE and add user-extension.js file and restart it. 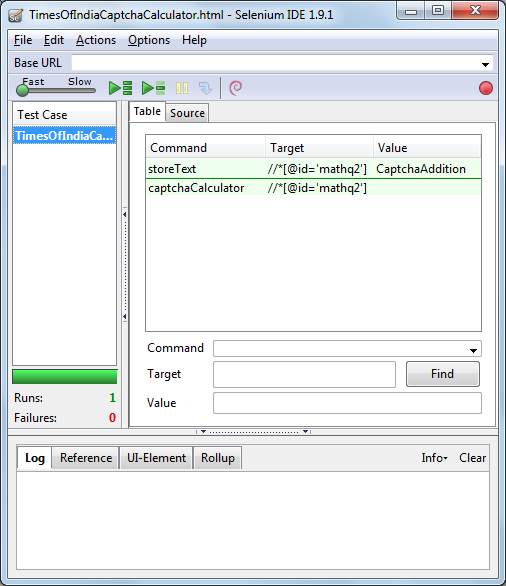 Take HTML code from Link and paste into Selenium IDE Source tab. Now Run this and check Gmail Username field. A email has been added. In this blog we check out one more example. 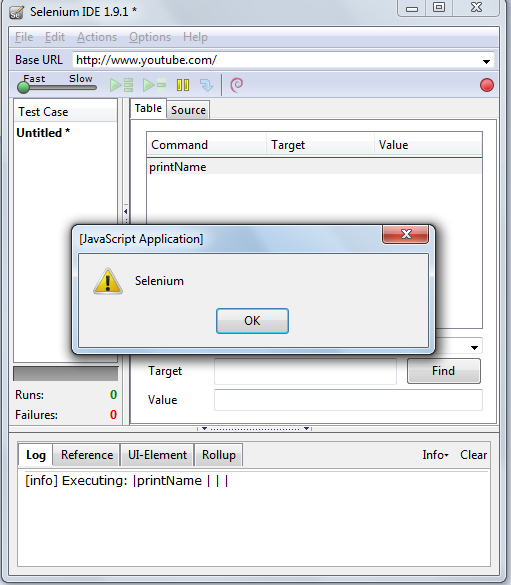 Now its time use this fuction from Selenium IDE. Add user-extension.js file in selenium IDE. and restart Selenium IDE. Lets see what happen when we run this code. How to make own commands and add it into user-extension to use it from selenium IDE?? Make new file user-extension.js in that. Now add following code in user-extension.js file and save it. 4. Start firefox and Now open Selenium IDE. 6. Add user-extension.js path in Selenium core extensions textbox and click on OK.
How to use while loop in selenium ide? 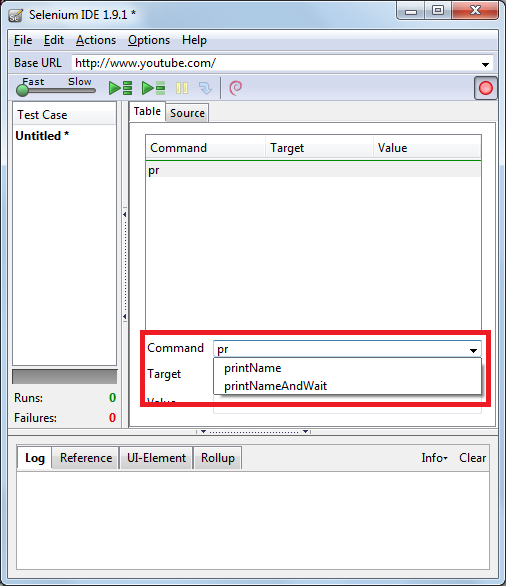 Perform while loop in the Selenium IDE. How do you set user extensions in Selenium IDE? How to include user extensions in selenium IDE? QTP Automation Testing Challenges ...! This is my testing blog. I am going to introducing new way of learning selenium with expert. We have selenium automation experts who have 6+ year of experience in Automation testing. 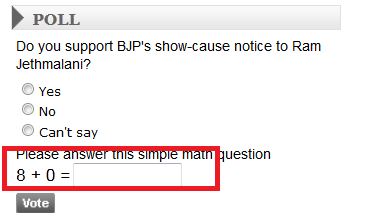 They work for Australia based company as Independent QA. We love to work with our students so they can work with others. Get fast and cost effective training at a place that is convenient to you. Travelling to a classroom to take a training course takes time and costs money. Learning in a classroom with others means that you have to learn at their place. Do you want to achieve the BEST training and qualifications? 6. Learn how to work with ANT? 7. Selenium RC basics till Advance Level. 8. Selenium WebDriver basics till Advance Level. SAP Process Integration Specialist - NOW WE CAN DO BETTER! An Oracle Fusion Middleware and iPaaS blog! Hurry you are one Click away to get a job - Fresher Jobs for 2012, 2013 fresher’s and also high paid jobs for well Experienced IT professionals on Referal jobs. Be Yourself! Simplify Our Goals! Nothing is Impossible! Working with organizations to develop sustainable and thriving workplaces and people.